Vikings? Check. Solid art style? Check. 2D action reminiscent of Castle Crashers? Ah, yup. Caley Charchuk, Senior Designer at Slick Entertainment, took to the PlayStation Blog to announced Viking Squad for the PlayStation 4. She also dropped the trailer you see above, which is the first gameplay we've seen for this brawling affair. 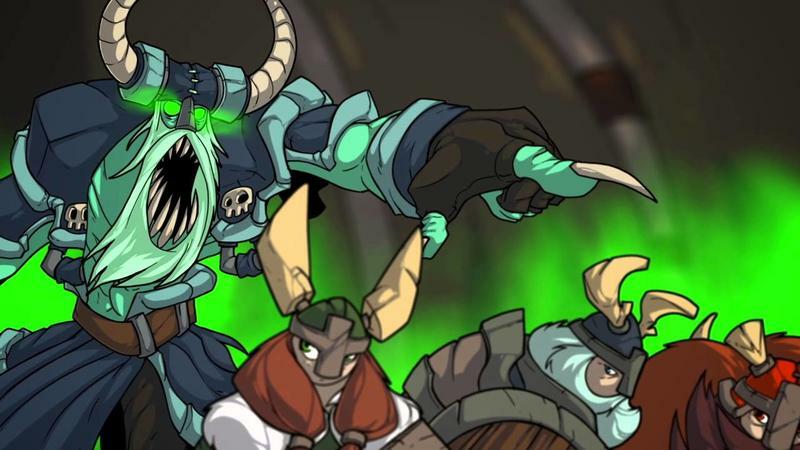 Viking Squad is bound for the PC and PlayStation 4 in 2015, and Charchuk discusses a bit of the gameplay you can expect from the effort next year in the aforementioned article. Gameplay in Viking Squad is similar to your average beat 'em up, but also differs in a few ways. Players can choose from four vikings, each with their own special weapon and move set. Characters can level up and equip different gear, improving their effectiveness in combat and how long they can last on a voyage. We also place a higher importance on player skill and precision instead of random dice rolls. Players are snapped to lanes to reduce confusion on whether your attack will connect with an enemy or not. Critical hits are not randomly rolled, players need to be well timed in order to land a critical hit, holding their heavy attacks until just the right window to deal the greatest damage! Every playthrough takes players on a voyage across the sea to raid neighboring enemies. After exhausting supplies your party returns with what you were able to take away, you then re-equip and do it again. Viking Squad seems to walk the line of simplistic and just challenging enough to have my interest piqued. I'll be following this one between now and release, so expect more on the game as it comes. Though, to be honest, they had me at "Viking."